Get rid of brown patch fungus by signing up for our lawn health program today and receive 50% off your first application. No one starts out with a perfect lawn and landscape – it takes time and effort. With our professional services, you won't have to lift a finger! From the first on-site estimate, until the job is done, we create a custom strategy for your outdoor living space! 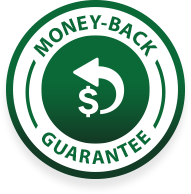 If we don’t meet your standards right off the bat, relax knowing that we offer a money-back guarantee. Our dedicated team members are devoted to giving you the personalized attention you deserve. .
Any lawn or landscape need that you may have – from weed control to a full landscape redesign – we have you covered! "It was a pleasure working with Jim Foster, Alec and Juan. Jim was very professional and attention to detail was terrific. Alec was even more particular than I am. Great job, great crew, great end result." Welcome to Sexton Lawn & Landscape! Our local landscaping company is Daphne's premier specialist in residential and commercial service. We offer complete service for your home or business including lawn care, lawn maintenance, landscaping design, irrigation installation, and lawn & plant health care services. Since 2004, our landscaping company has provided reliable service to Daphne, Fairhope, Mobile, Spanish Fort, and many other communities nearby. 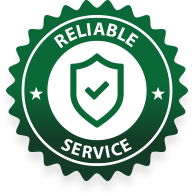 We offer a team of certified technicians who provide reliable service to the Mobile Bay area. Our goal is to create a beautiful, functional lawn that will be a joy to see and use every day! 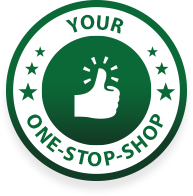 Be sure to check out our specials and financing options as well as the complete range of home and commercial services we provide. We offer free estimates, so give our landscaping company a call today! If we don't meet your service standards and can't fix it to your satisfaction, relax knowing we offer a money-back guarantee. Our Daphne landscaping company is always devoted to giving you the personalized attention you deserve! We have you covered for any landscape & lawn maintenance service you need - from weed control to a full landscape redesign! Bringing life back to your lawn can quickly consume your weekend. With Sexton, enjoy a beautiful, new lawn, as well as your newfound free time! A beautiful lawn can brighten up any home. The experts at Sexton Lawn & Landscape will revive and maintain your lawn all year long! Tired of having the same lawn as every home on the block? Our landscape design and development services create a yard that's unique, functional and beautiful! 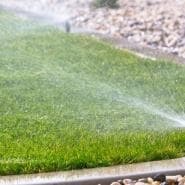 Take the effort out of watering your lawn! Our irrigation services makes sure your lawn gets the precise amount of water it needs, saving you time and money! 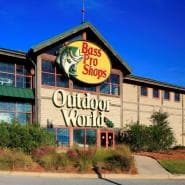 Don't let the exterior of your business turn away customers! Sexton will give you the hassle-free landscaping and lawn care your business needs! We know that choosing a lawn and landscape company is an important decision. Let us make it easy for you to get started with us with these exclusive special offers!